Product information "Pencil case HOMER of brown leather"
The pencil case HOMER made of soft leather is a nice pencil etui that offers the possibility of keeping your stationery tidy, easy to handle and stylish for every moment. Do you want to have your pens and pencils always at hand? 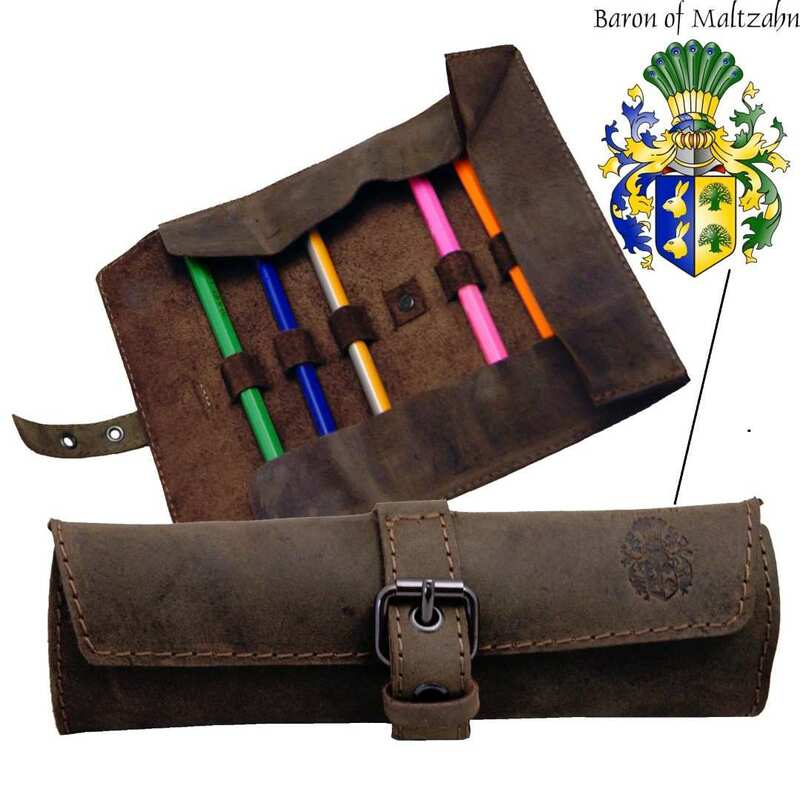 The pencil case made of soft leather is an elegant etui with special elastic loops to keep six writing instruments well arranged and compactly ordered. By unwinding the pencil case, you will be able to quickly grip the ballpoint pen or the pencil you need. When rolled up, the pencil case is space-saving, so that you can keep it conveniently nearby a notebook, just in case you need to take these objects quickly. The prominent buckle provides that everything stays in its place. 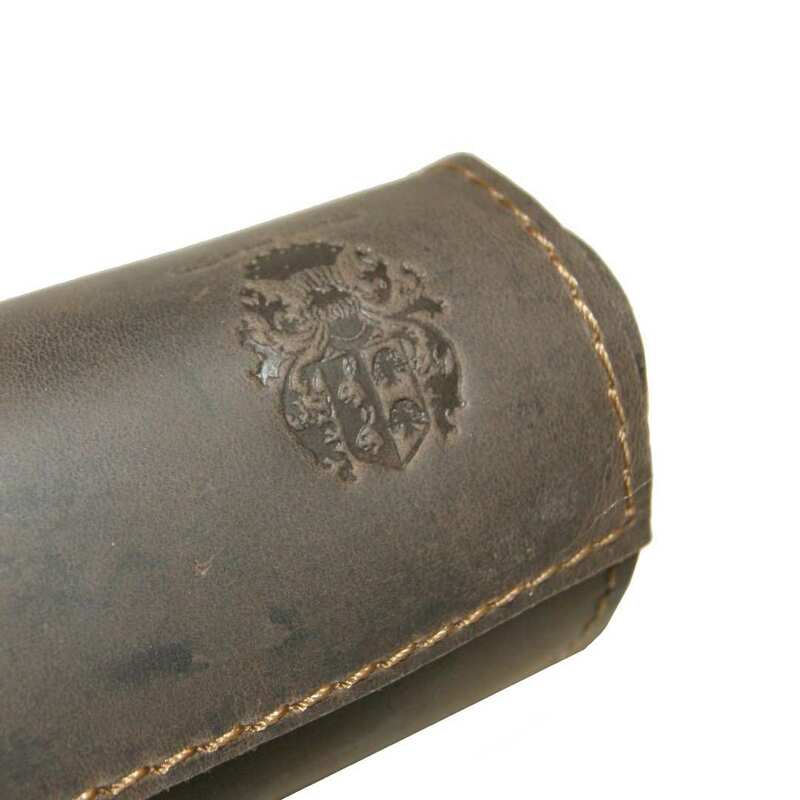 The pen etui made of soft leather captivates by the fine surface of the dark leather and the imprinted noble crest. The roller buckle gives this creation a modern touch and makes of this pencil case the perfect companion to show at any moment. You won’t find a classier etui! The total size of this pencil case is 7.9 x 3.1 x 1.6 in (20x8x4 cm). Thanks to its full brown leather, the pencil case is optically appealing and sturdy at the same time. The natural materials can develop their characteristics to the full due to the following procedure: the cowhide is pressed by hot barrels or rollers and therefore slightly burnt. This process makes the natural humidity and grease rests disappear in order for the leather to get more resistant and lighter. Additionally, it gets darker and becomes more elegant thanks to the beautiful contrast with the light brown rivets. 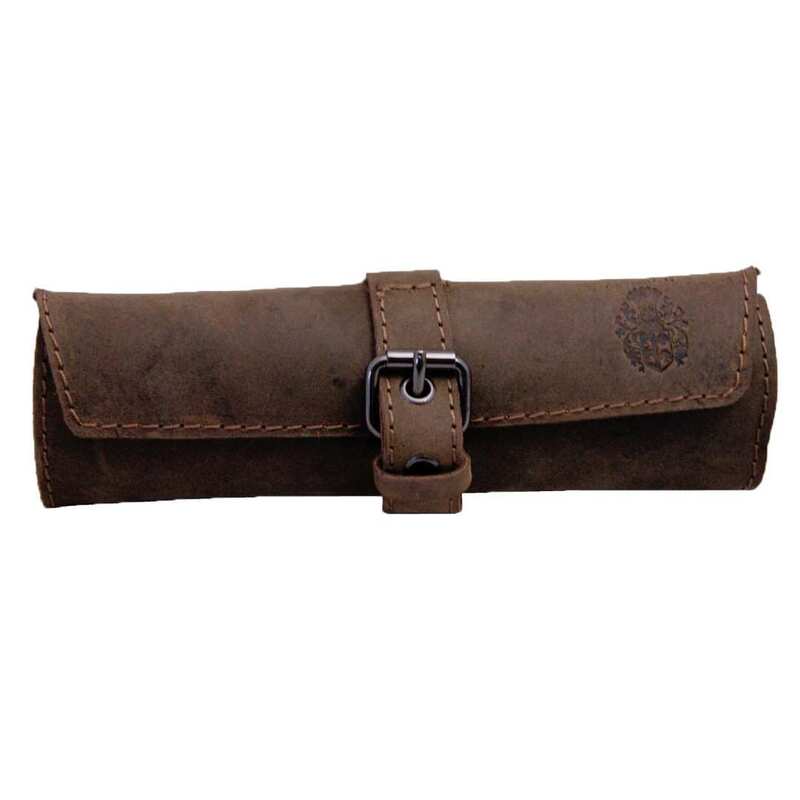 The pencil case made of soft brown leather can store up to six writing instruments within the leather loops. Thanks to the rolling bucket, the etui can be perfectly closed with one or with six pencils in it: it always looks the same! Reviews for "Pencil case HOMER of brown leather"
Beautifully made, smells good and looks cool. Very happy.